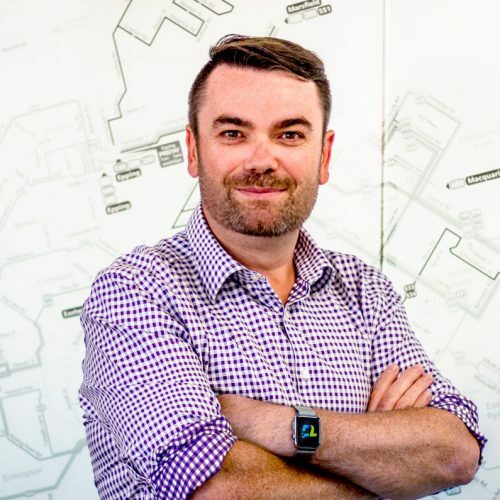 John Mikita is the owner of Canberra business TransitGraphics. TransitGraphics specialises in graphic and web design and has been supporting the Dainere’s Rainbow Brain Tumour Research Fund since late 2013. John has had the privilege to know the Anthoney family for many years, prior to the tragic loss of Dainere in 2013. John is also a family man, with his own two children, born and bred in the Capital and takes great pleasure in assisting the fund to help spread the word and raise money to bring about a cure. “Thank you to Yvonne, Stephen, Jarrett, Nalani and The committee for honouring me with this humbling role. I have never met 4 people who are so selfless in their lives to raise as much money as they can to solve the illness that has taken their lovely Dainere’ from them. It will continue to be my task to assist the family and the fund on promoting the awareness of brain tumour research especially in children. John is always contactable and welcomes discussion from like minded local Canberra business people and individuals who also wish to help the Dainere’s Rainbow Brain Tumour Research Fund, either financially or with their time to ensure brain tumours, especially in Children, become a treatable and curable disease.